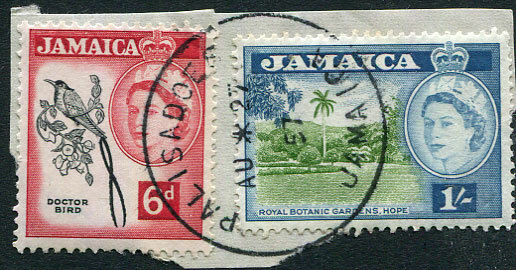 (011.02) */14 JY 58 on QE2 3d (SG.214). 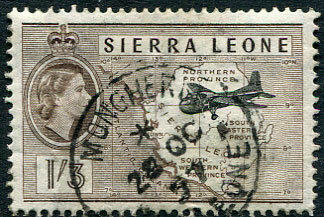 (024.01) */21 JU 58 on QE2 6d (SG.216). 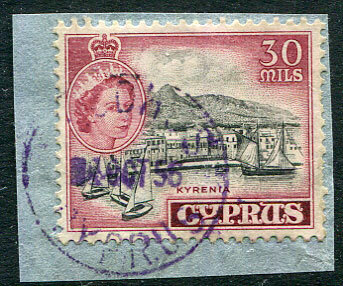 (050.03) 3 JY 58 on QE2 3d (SG.214) piece. 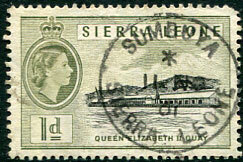 (061.01) */23 JU 58 on QE2 1½d (SG.212). 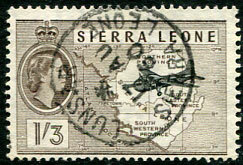 (061.01) */23 JU 58 on QE2 2d (SG.213). 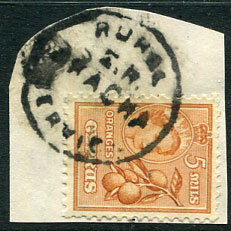 (002.02) */14 MR 58 on horiz. 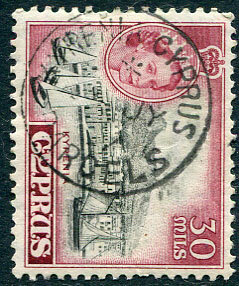 pair QE2 2d (SG.213). 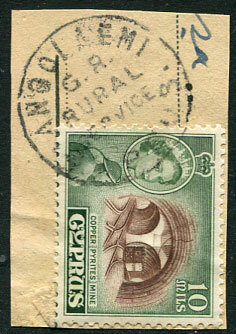 (114.01) */28 OC 57 on QE2 1/3d (SG.218), rare office. 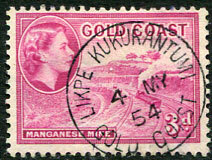 */27 NO 53 on QE2 3d (SG.175). 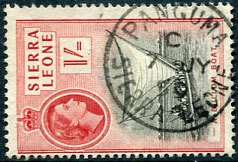 (123.03) C/7 JY 56 on QE2 1/- (SG.217). 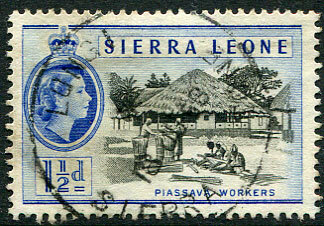 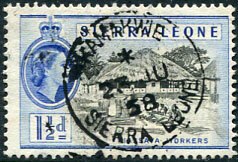 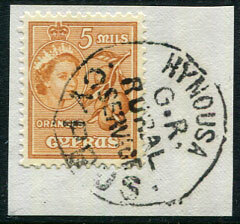 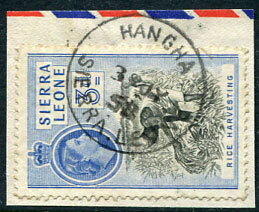 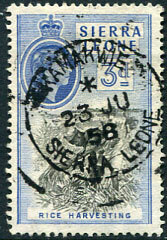 (083.02) partly dated showing year "58" on QE2 6d (SG.216), a most elusive office. 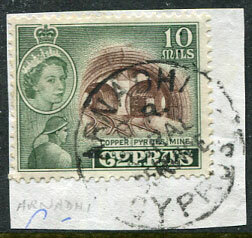 on QE2 2mils piece, reverse Pathos 2 JU 59 cds. 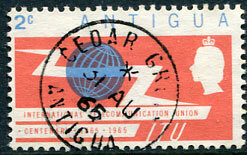 dated AU 22 57 on QE2 4d, 1/6d piece. 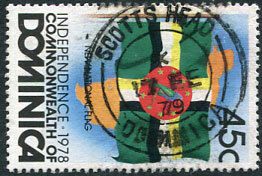 (Money Order Office) dated */26 JA 56 on QE2 10mils (SG.176) piece. 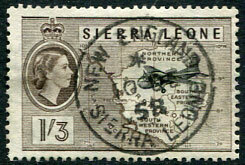 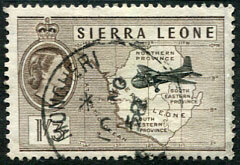 (T.28) on QE2 5mils (SG.175a) piece. 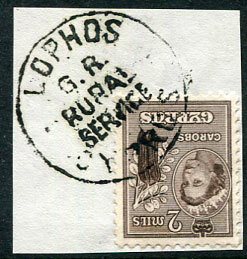 (T.10A) part dated */? 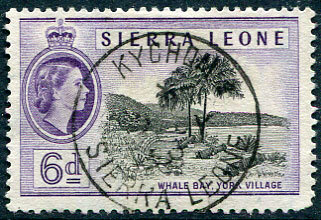 JY 57 on QE2 30mils (SG.180). 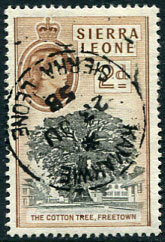 (Money Order Office) dated */14 SP 55 on QE2 10mils (SG.181). 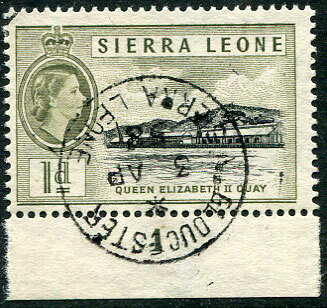 (T.28) on QE2 10 mils (SG.176) piece. 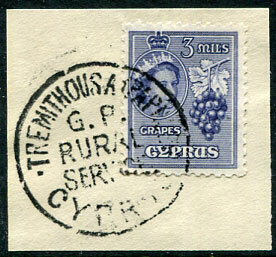 (T.28) on QE2 3mils (SG.189) piece. 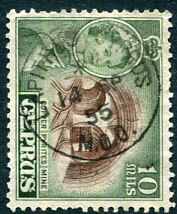 (T.28) on QE2 2mils (SG.173) piece. 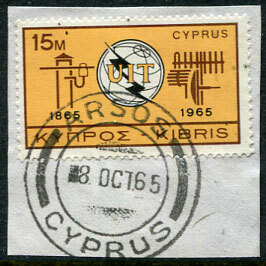 8 OCT 65 on QE2 15 mils piece. 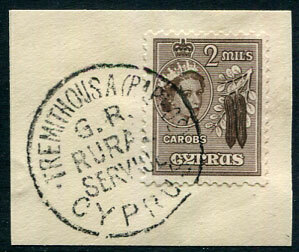 (T.23) on QE2 5 mils (SG.190) piece. 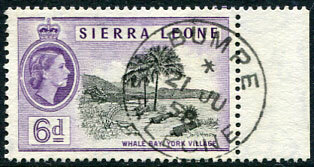 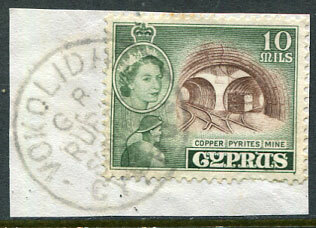 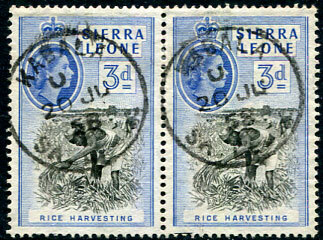 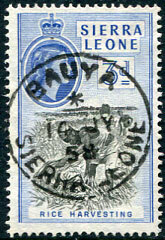 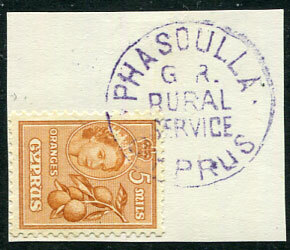 (T.26) on QE2 2 mils piece (SG.173). 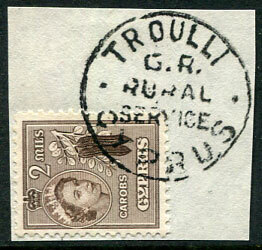 (T.28) on QE2 10 mils piece. 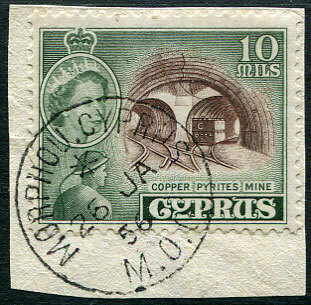 (T.28) on QE2 2 mils piece. 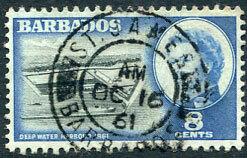 (088.02) dated 18 JU 58 on QE2 1½d (Sg.212). 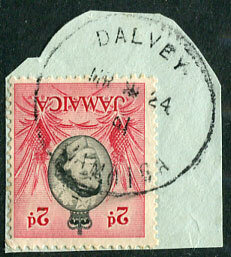 */17 FE 79 on 45c. 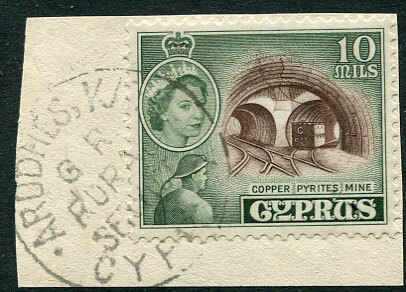 (047.04) */3 AP 58 on QE2 1d (SG.211). 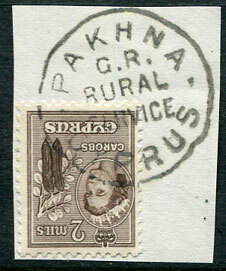 (T.28) Turkish village on QE2 10m (SG.191) piece. 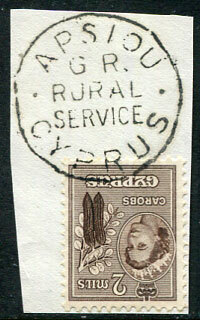 dated AU * 27/57 on QE2 6d, 1/- (SG.166,168) piece. 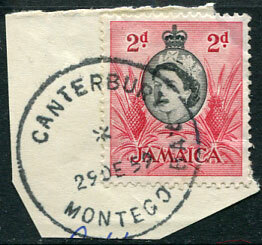 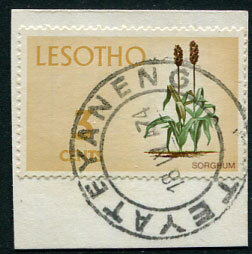 dated */29 DE 59 on QE2 2d (SG.161) piece. 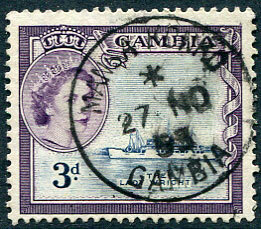 dated MR * 24/61 on QE2 2d (SG.161) piece. 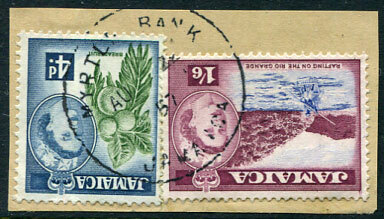 (051.02) A/JU 18 58 on horiz. 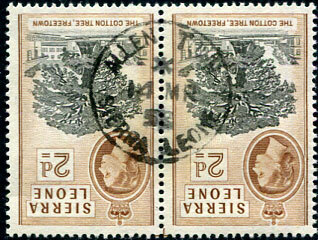 pair QE2 ½d (SG.210).